Real estate is a competitive and ever-growing industry where being second is not an option. As a property investor you surely need to look professional, and demonstrate your serious demeanor and battle-hardened integrity. One of the best ways to leave a lasting impression on colleagues and potential clients is with a jazzy business card that speaks volumes about your competence. Look at your card and ask yourself a question whether it’s so good that it causes people to remember you and hold on to your card for the perfect time. If you want to freshen up old business cards or create new ones from scratch, you'll need creative ideas and professional advice. Here are some tips on how to make the best real estate business cards to improve your initial impression and increase your opportunities. The first and the most important step is to think over the concept of your business card. However, you can’t just slap your name on a small card and call it a day. You have to put some thought, time and effort into your card creation, as it will represent you as a professional. It’s up to you to decide whether it will be neat and conservative, or bold and flashy. 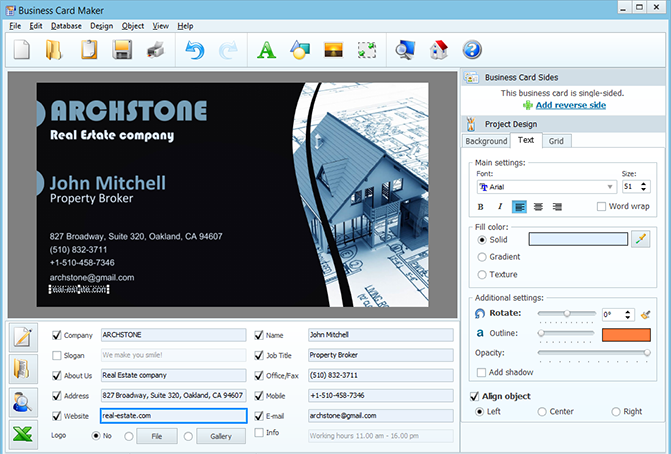 Whatever you choose, you’ll need proper business card design software to get the work done, which is Business Card Maker. 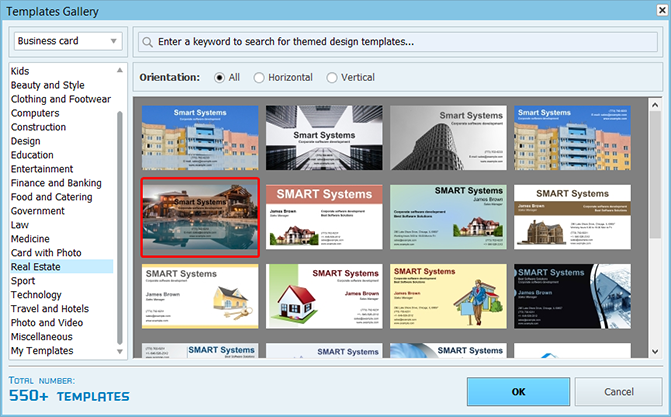 The program gallery offers a range of ready-made templates when it comes to making the best real estate business cards. These templates can serve as a great basis and inspiration for your own card designs. You can also get creative with themes and inject your own personality into customized business cards. Whether you’re mimicking the style of your favorite companies or colleagues, using a pop culture reference or simply sticking to classic real estate designs, make good use of all the resources you have. Your logo, personal photo or the high-res pictures you’ve taken to show a house to prospective clients will be perfect elements of your business card. The motto “keep it simple” is more than applicable to the world of real estate business cards. You don’t have to get too crazy with your business card designs, though, sometimes it takes a distinct color to make yours stand out from others. For example, the blue color is often associated with ‘trust’ and ‘security’, and such a card will present the broker as approachable, friendly, and creative. If you want to look confident and proactive in the eyes of prospective clients, you can cleverly mix more contrasting colors like red, yellow or black. Whatever color scheme you choose, keep the text readable, so that your name and number pop right away when someone sees the business card. When you think what contact information to type in the text fields, choose the data that will enable your clients to reach you as soon as possible. It can be an email address, a LinkedIn account or your personal website. If you want to make one of the best real estate business cards, don’t be afraid to use blank space. In case there isn’t enough room on the front of your business card, use the back. For instance, you can smartly put the address of your website on the reverse side of the business card to nudge clients to follow the link. Otherwise you can leave the reverse side for some notes and remarks. 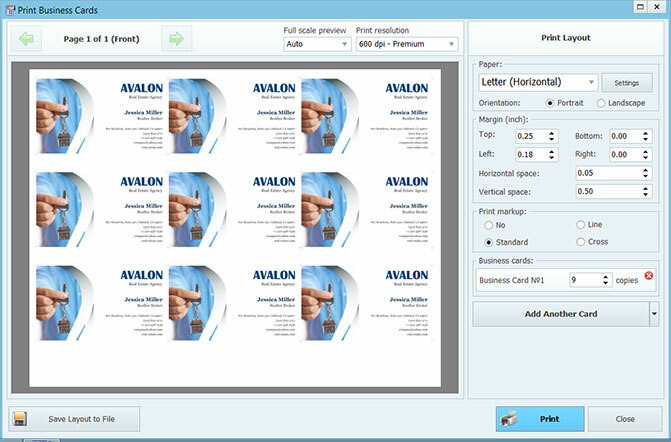 While preparing your designs for printing, take advantage of the standard card size, so that business cards will easily fit in wallets, on bulletin boards or in envelopes. Before hitting the Print button use the Bleed area (a 3-mm line of the same color as the card background) to avoid any ugly border strips on the edge of the cards. Make sure you’ve bought high-quality cardstock, otherwise colors can get smudged or the card surface would be too sleek to leave notes. After all, a great business card can make some people very jealous, while others will be honored to receive one. In this case business cards serve as a form of credibility, and you display a certain level of trustworthiness by giving someone your personal information. 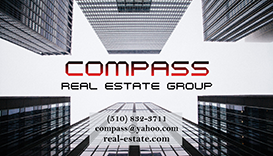 This means having the best real estate business cards is essential in such a highly competitive industry.